It's not everyday that Jon Jones and Daniel Cormier agree on something but they both took pointed shots at Alexander Gustafsson after recent comments from the No. 1 ranked light heavyweight contender. Stop the presses because Jon Jones and Daniel Cormier actually agree on something. 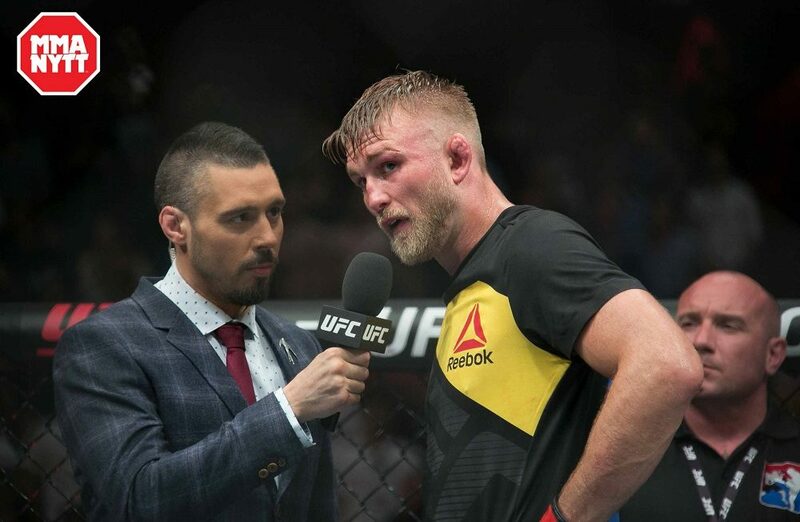 This past week while visiting the United States to wrap up his new UFC contract, top ranked light heavyweight contender Alexander Gustafsson took shots at both Jones and Cormier in interviews and social media posts. Gustafsson appeared on the “Joe Rogan Podcast” where he talked about his first fight with Jones and how he believed a win over the longest reigning light heavyweight champion in UFC history would mean even more than winning the title at 205 pounds. Gustafsson was confident that a rematch with Jones would end in his favor after losing a hard fought decision over five rounds in their last fight. That didn’t sit too well with Jones, who came back at Gustafsson with a post of his own on Twitter. @AlexTheMauler Beat me in three? Your hands were the only thing you had over me in our first fight. That gap is closing fast. Our first fight will be the greatest thing you’ve ever done inside of that octagon. You will never beat me, that’s my promise to you. Gustafsson then managed to get mired in a war of words with reigning champion Daniel Cormier after the two of them engaged in a tense and awkward interview last week as part of “UFC Tonight”. After that appearance, Gustafsson closed out his negotiations with the UFC when he signed a ‘lucrative’ contract with the promotion. Gustafsson decided that was the perfect opportunity to remind the world that he’s not going anywhere while Cormier has already said that he’s planning to retire from the sport next March around his 40th birthday. Well that earned him a response from Cormier, who much like Jones reminded Gustafsson that he’s still never won a UFC title and his claim to fame right now are two close fights with the two best light heavyweights in recent history. Gustafsson teased that he was looking to return to action in the near future after recovering from a shoulder injury that kept him sidelined following a dominant win over Glover Teixeira last year. Unfortunately for Gustafsson he won’t be facing Cormier, who is awaiting a July showdown with heavyweight champion Stipe Miocic while Jones remains on suspension awaiting word from USADA over potential punishment after a failed drug test last year.